A marriage of Fruit in Marzipan that has stood the test of time and Anthon Berg think will live happily ever after. The finest marzipan found the fruit filling irresistible so they decided to tie the knot. To celebrate Anthon Berg covered them in smoothly delicious dark chocolate. 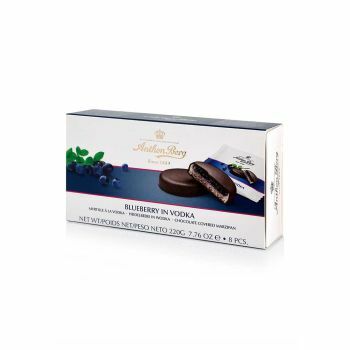 Anthon Berg Fruit in Marzipan are individually wrapped for easy sharing.